Surprise Golem has just lost her brand-new baby. The Stork assigned to deliver her eagerly awaited Bundle of Joy has inexplicably refused to surrender it, flying off instead through a hole in the fabric of reality. Now, to track down her offspring, Surprise must lead an ill-assorted assemblage of confederates on a desperate quest through dozens of different Xanths. But sinister, unseen forces are determined to stop her. And in order to find her child, Surprise may have to lose her heart. 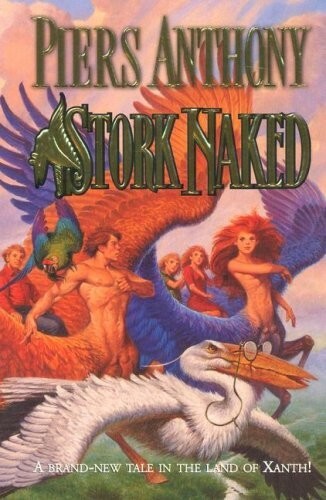 Startling, stimulating, stirring, and surprising, Stork Naked is a rollicking and revealing new fantasy adventure lusciously laced with dozens of dangers and delights, lovingly fashioned with all of Piers Anthony s celebrated storytelling skills.